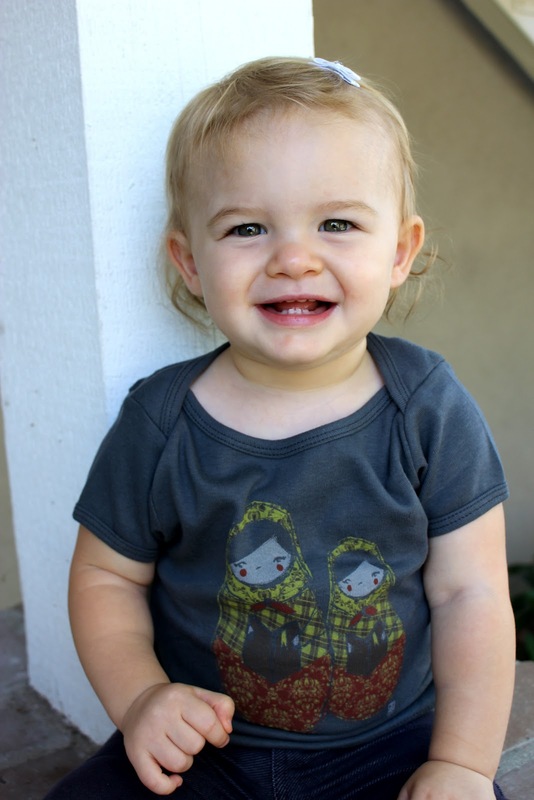 Lu Bird Baby: Zoe Clothing Co. Giveaway! 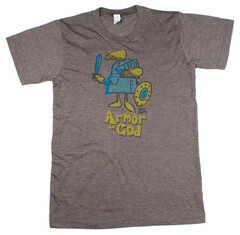 They have the coolest scripture inspired clothing for kids and adults. "And this is the testimony, that God gave us eternal life (zoe), and this life (zoe) is in his Son. Whoever has the Son has life (zoe); whoever does not have the Son of God does not have life (zoe)." As Christians, this new life — zoe — defines who we are. Our goal is to live out this truth in the way that we practice business and in the passion that we put into designing our clothing. We have created a line that is not only on the cutting edge of fashion, but also represents God's living and perfect Word. We hope that the simple messages of our clothing will be a light to others (Matthew 5:14-16), and an encouragement to the the one wearing it (Psalm 1:1-2). God bless you as you live your new life (zoe) in Christ! Zoe company was gracious enough to send us some of their products to try out and after seeing them in person I can personally tell you that they are great quality and just as cool as they look online. Wesley is sporting the Fight the Good Fight tee which is his new favorite piece of clothing. He has worn it every day since it arrived in the mail. 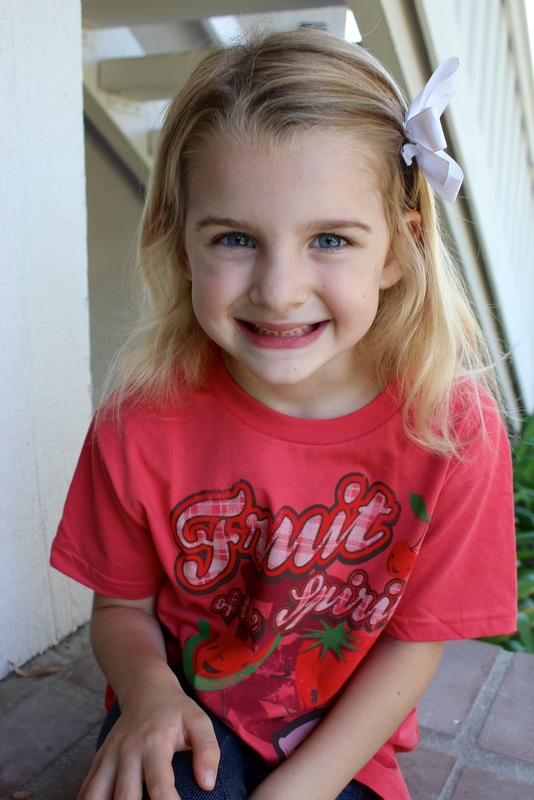 Kenzie is wearing this Fruit of the Spirit tee. Our prayer is that the Fruits of the Spirit would be evident in her life as she shines the light of Jesus to those around her! And Maddie and I have this super cute Titus 2 shirt. I'm a sucker for Russian nesting dolls! And I love.love.love. the adoption tees they have! I think my friend who just brought her daughter home from Korea needs one of these. Don't they have some cool stuff? 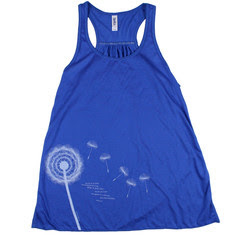 Want some Zoe Clothing of your very own? Zoe Clothing Co. is generously giving away a $100 gift card to their shop. That's a lot of cool stuff! All you have to do is "like" Zoe Company Co. on facebook and then come back here and tell us through PunchTab which item from the Zoe Clothing store is your favorite. Check out the PunchTab below for extra entries as well! Giveaway ends Friday, September 28th at midnight. Thank you so much for sharing this company! I love these! That Titus 2 shirt is super cute! what a great company! I love the 'fear no evil' shirt for my boys. too darn cute! Love the Fear No Evil shirt for boys! I like them on fb!!! 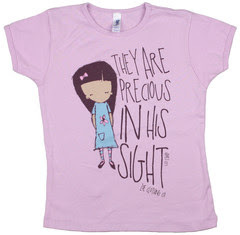 I love ANY of the shirts with ZOE on them.. that's my daughters name, too! SO many great items to choose from. I love the Joyful Noise mens' t-shirt (my husband is a drummer! ), and the Titus shirt for gals. 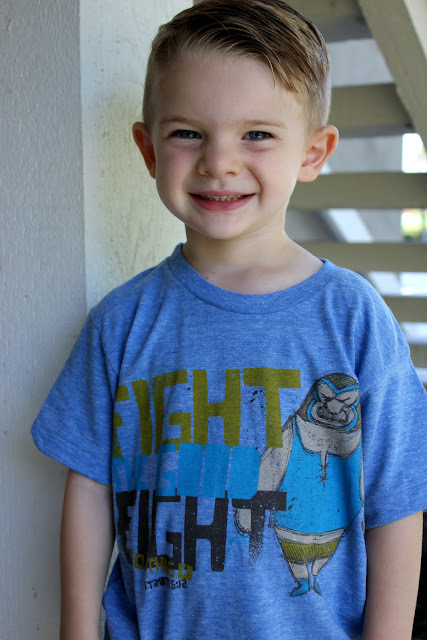 I LOVE the Fight the Good Fight shirt for my always on the go almost 4 year old little boy. Thanks for letting us know about this company! Great stuff! I really like Adoption Girls! I love the black vine dress! Titus 2 is my fav!!! I love Zoe's "Fear No Evil" shirts!